Have some fun with your family and friends at your Baby Shower with these lovely Advice Cards! A fun activity to do at your Baby Shower and a lovely keep safe for the parents-to-be! 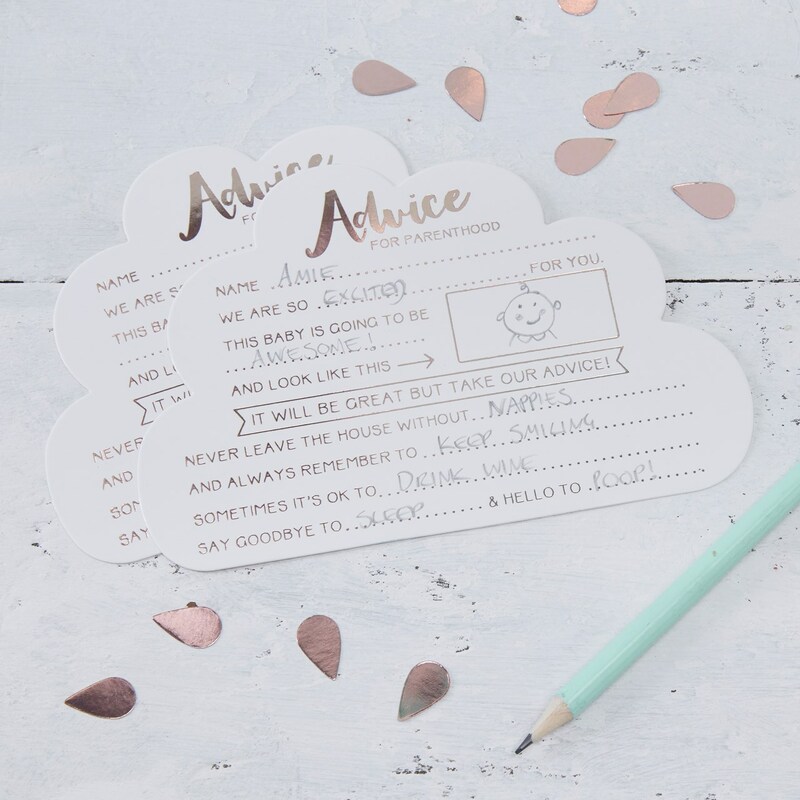 Ask your guests to fill in the chic cloud shaped advice cards with their best advice for when the beautiful baby arrives! Each card has blank spaces for your guests to write their advice and wishes! Each pack contains 10 advice cards measuring: 170mm (W) x 160mm (H).